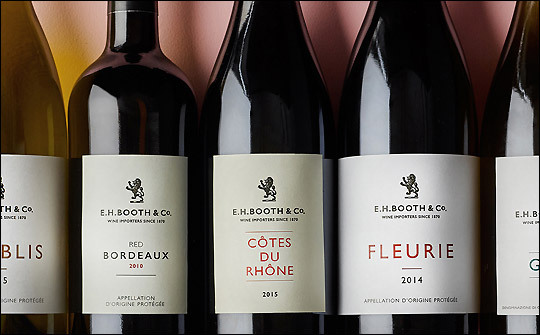 Booth's own wine label has been redesigned in a creative and strategic partnership with Smith &+ Village, leading to an increase in sales of 4.3% over the Christmas period. Part of the redesign was to play on the supermarket's heritage as a wine importer. 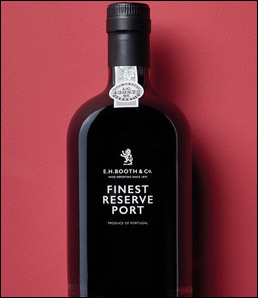 The rebranded 50cl Vintage Port was the best performing redesigned product, beating last year’s sales of the 75cl bottle, with a volume sales increase of 440 per cent. The second largest growth in the category was in the more premium wines, such as Chablis, which increased by 162 percent, Rioja by 147 per cent and the Bordeaux Rouge by 46 per cent. Smith&+Village elevated the range by using the high-end supermarket’s crest on the front of the label, together with its original name EH Booths & Co, to reflect its history as a wine importer and created own label packaging which customers would be proud of. Smith&+Village's strategy to boost sales was to stop customers thinking of Booths’ offering as supermarket wine, and reposition the retailer as a wine merchant. The supermarket has been importing wine for almost 150 years. The packaging design was selected to create the kind of bottle customers would want to display on the dinner table. Richard Village, director, Smith&+Village, says: “Whatever supermarkets do to counter it, there is still some stigma in customers’ minds about putting supermarket wine on the table at a dinner party. We’ve got around that by playing on Booths’ heritage as a wine merchant. A variety of finishes, papers and colours, as well as text, direct print, varnishes and pearlessence, make the supermarket’s own label range stand out. Packaging design is stripped back and missing the frequently used wine category design cues of illustrations, vineyards and chateaux. The font is based on a Gill Sans in light regular or semi bold which is an old English font selected for Booths’ logo.